All Green Electronics Recycling is pleased to assist enterprises inside of the Baltimore area to get the most out of their IT Equipment with Certified IT Asset Disposition (ITAD), Secure Data Destruction and Electronics Recycling. As a way to give back to the local community, All Green even assists most of the residents of Baltimore with their recycled electronics. Baltimore is found in Northern Maryland and hosts the Local Headquarters of All Green Electronics Recycling. This business office is the headquarters for All Green’s functions in District of Columbia, Virginia, New Jersey and Pennsylvania. Help in keeping Baltimore clean and e-waste free by recycling all of your electronic devices with All Green. Electronic waste or Ewaste is the term for dumped electrical or electronic devices. Old electronics which are meant for reuse, resale, restoration, recycling or disposal may also be understood as E Waste. Unregulated processing of electronic waste in developing countries might result in significant health and pollution challenges, since these nations have minimal oversight of E-Waste handling. It is estimated that 50 million tons of E Waste are produced every year. The USA disposes of 29 million computer systems every year and 150 million cell phones are disposed of in Europe on an annual basis. There is a massive amount of Baltimore E Waste created at the same time. The Environmental Protection Agency estimates that no more than 15-20% of E Waste gets recycled, most of these consumer electronics going right into a landfill and incinerators. All Green Electronics Recycling is the leader in handling E-Waste in a nontoxic, responsible process. Electronic devices that we recycle are fully guaranteed to never wind up in a landfill offshore. To schedule a Baltimore Ewaste pick-up, please be sure to fill out the form on this web page. 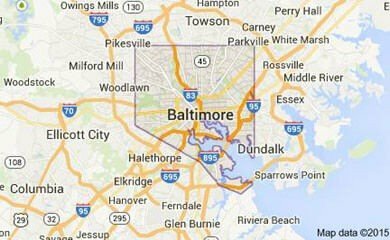 Located in central Maryland, Baltimore is the 26th-most populated city in the United States. Baltimore is the second largest seaport on the east coast and was once a leading port of entry for immigrants. After the decline of industry and manufacturing, Baltimore shifted its focus to healthcare and science, a change marked by the founding of John Hopkins Hospital and University in the late 19th century. The city is home to the Baltimore Orioles (baseball) and the Baltimore Ravens (football). All Green’s 7-Step Data Destruction, IT Asset Disposition and Electronics Recycling process in Baltimore and the adjacent areas. 1. You have used IT Equipment – If it plugs in to the wall or requires a battery, we can handle it! 2. Call or click to arrange for IT Recycling – Our Baltimore customer service specialists are standing by 6 days a week. 5. We safely transport everything – Your electronic equipment is securely transported & tracked at every step. 6. We destroy all information – Data destruction solutions from wiping to crushing and shredding. 7. Eco-Friendly Recycling – Qualified to the highest standards with ISO14001 and R2. All Green is a Registered Microsoft Refurbisher with specialized systems designed to maximize returns to our clients. Our repair and resale techniques are designed to get you the highest possible value for all of your outdated IT assets. Repurposing and resale of your IT Equipment has never been simpler with our streamlined procedures. Anywhere in Baltimore, you can turn your IT Asset Disposal program into a revenue stream by making it possible for All Green in Baltimore to pickup, track, thoroughly clean and repurpose your retiring IT Assets. The resale of personal computers, notebook computers, servers, hard drives, monitors, cellular phones and tablets is what we do best! Let us do what we do best while you focus on what you do best and get the greatest return on your IT Equipment. 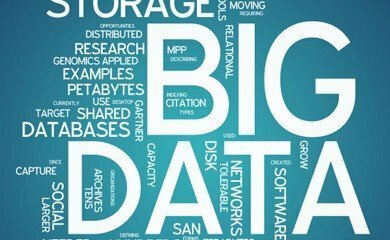 Big corporations and even educational facilities such as Johns Hopkins University, University of Maryland, Baltimore, University of Maryland, Baltimore County, University of Baltimore and Towson University in Baltimore rely on repurposing IT Equipment in order to buy new equipment as often as possible. All Green’s traveling hard drive shredding trucks operate in the Baltimore area to provide coverage for the large number of corporate headquarters and enterprises based in Charm City. The landscape in Baltimore and surrounding areas including Belair-Edison, Callaway-Garrison, Harwood, Ramblewood, Bolton Hill and Mount Winans enables us to use hard drive shredding trucks that can arrive at your business and destroy your hard drives while you watch. 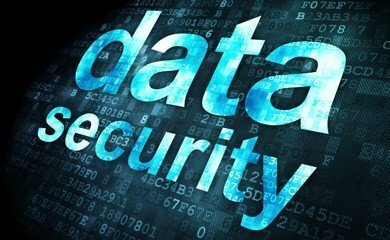 Federal government agencies like Blaine L. Gilbert & Associates, P.A., Morris Sochaczewski and US Animal Plant Health Inspection rely upon secure destruction of their computer data and so should you. If you do not require witnessed hard drive shredding in Monument City, we can offer pickup hard drive destruction and wiping solutions and even pack and ship data destruction services. The state of Maryland has stern disposal and destruction rules so we ensure accurate management and security for all of your computer equipment.